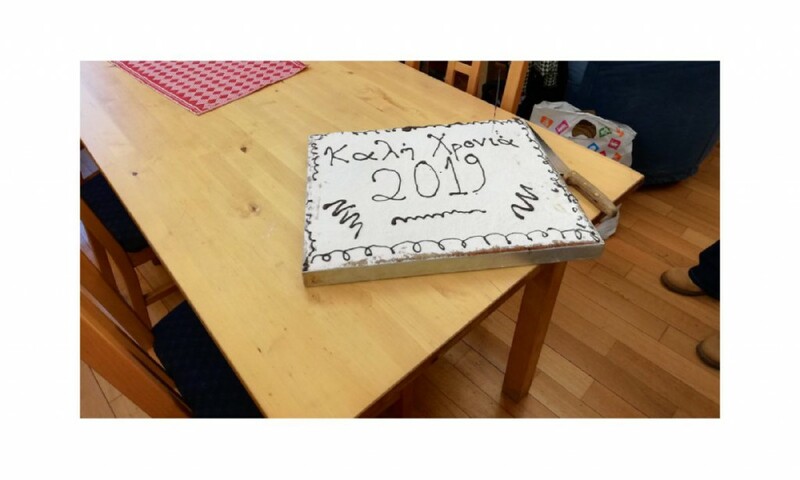 On the 2nd Wednesday of January 2019, Community Connect Athens met for the first time in 2019 to wish everyone a Happy New Year and to cut the Vassilopitta. There were warm sausage rolls and other cakes to munch on with our coffee prior to the cutting of the Vassilopitta. 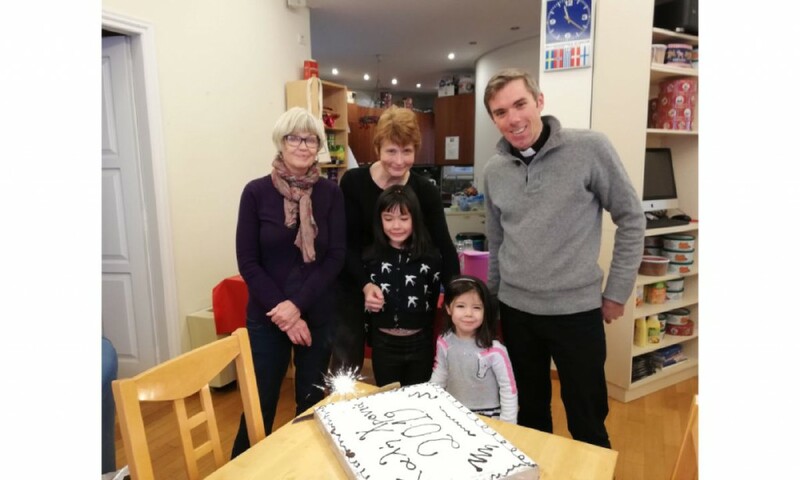 Fr James said a short prayer and blessed the cake and the children blew out the candle! For those of you who live outside Greece, the Vassilopitta is a large cake in which the bakers have placed a “gold” coin. When the cake is cut, whoever gets the coin in their slice of cake is purported to have Good Luck all year round! 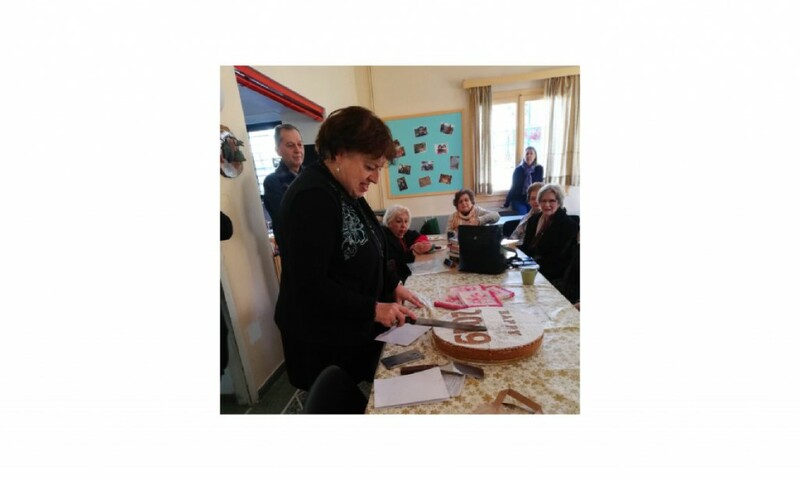 Community Connect Northern Suburbs met on the third Wednesday of January at the Loida Home for the Elderly in Kifissia. Deacon Chris Saccali welcomed everyone to the first coffee morning of the year. 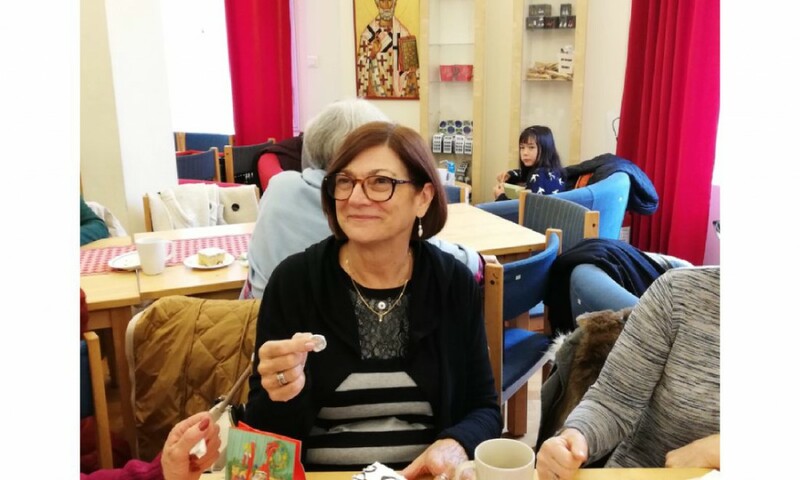 Community Connect has had a lot of homes over the years since its inauguration and she was very grateful for the continued support that everyone had given the Coffee Mornings. 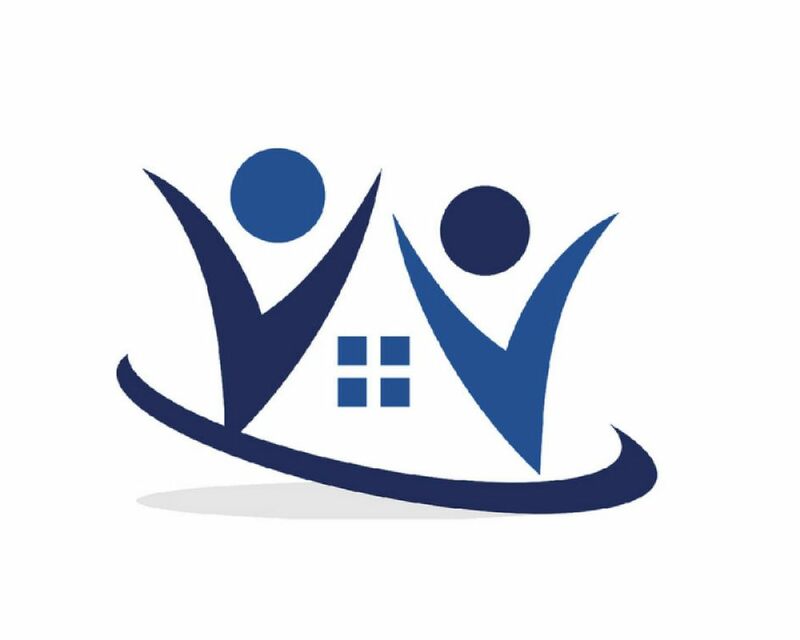 She knew how many people looked forward to the monthly meetings and was extremely grateful to Loida for providing us with a home. Not only do they provide us with a venue, but each month the halls are cleared for us, and the heating and the coffee are on! She felt that we really had come home. 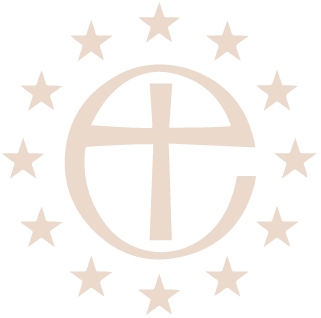 Deacon Chris also showed us a letter she had received from the Hellenic Scripture Union thanking us for the very generous gift of 300€ which had been collected after the Carol Service held at Loida on 16th December – it was a fantastic amount considering the small numbers of those attending. 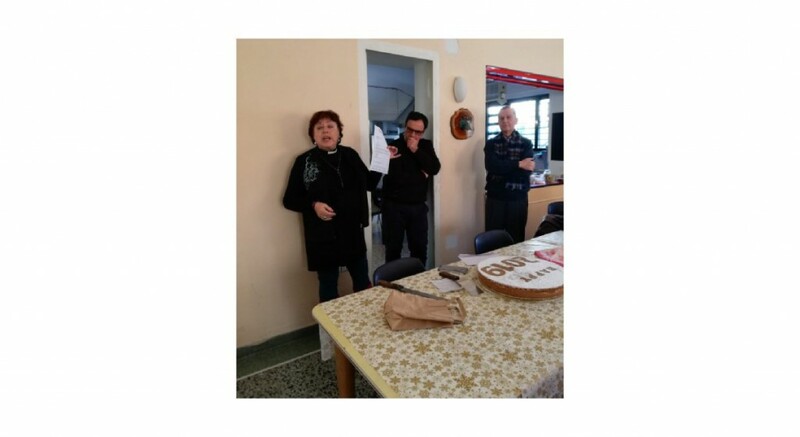 Mr Socrates Anastasiadis the Manager of the Hellenic Scripture Union, and Mr Alexis Karellis, Manager of the Loida Home were also present to receive our thanks and best wishes for the new year, and they in turn welcomed us, and wished us god’s blessing for the New year. 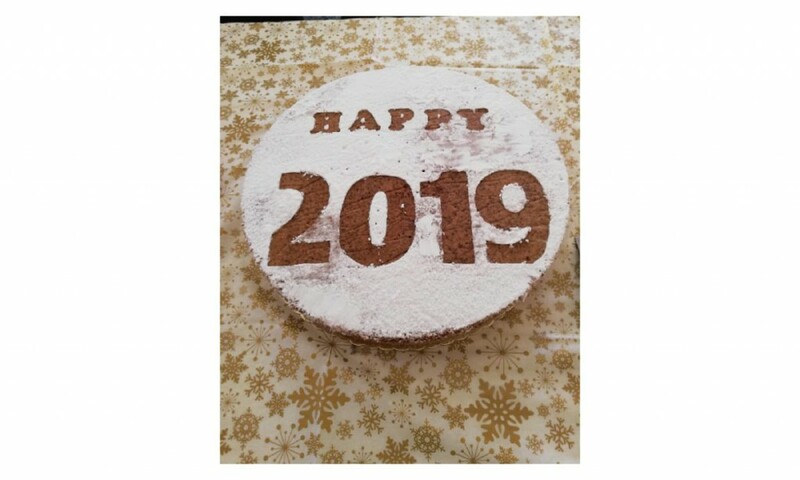 The delicious cake lovingly baked by Helen Mandama was cut, the coin was found amidst much cheering and applause and the start of another year was celebrated amongst friends.